This seminar will provide an overview of the various opportunities within the nursing field. Through lecture, lab, and simulated-experiences, students will learn nursing skills across the lifespan for infants, children, and adults as well as assistive roles with healthcare professionals from other disciplines. Students will explore content surrounding cranial nerves, PPE, IV starts, wound care, hand hygiene, and the history of nursing. 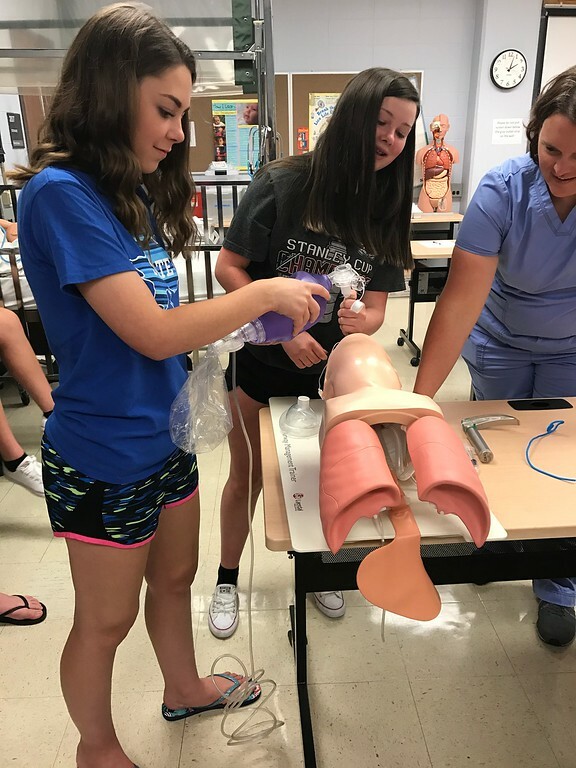 In the classroom component, the students will have presentations from guest speakers from various local healthcare disciplines including nursing, respiratory therapy, and athletic training. Through simulated experiences, students will learn to perform vital signs, how to administer injections, start intravenous (IV) catheters, change a dressing on a wound site, learn the importance of infection control, and don and doff Personal Protective Equipment (PPE) including sterile gloves, masks and gowns.